iValue InfoSolutions, a digital leader in the asset protection and data, network and application management, announced that company's Co-founder Sriram S has stepped down as CEO. And it's current Director for BFSI, Krishna Raj Sharma has been appointed as Director and Chief Executive Officer. This is the first change of guard for the company since its inception in 2008. Company's Co-founder Sriram S will take non-executive roles within the organization. 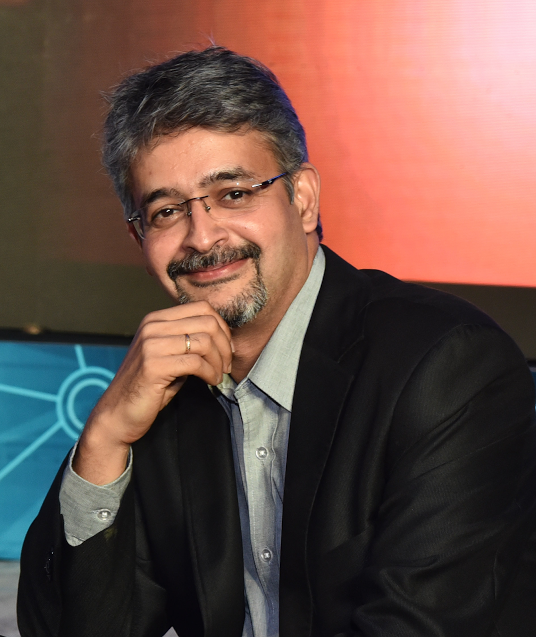 In his career span of 30 years he has been associated with various roles with companies like Wipro before founding iValue InfoSolutions in 2008. Krishna Raj Sharma, popularly known in the industry as KRS, will take on the top job effective from 1st January 2018. In his previous role, KRS has successfully spearheaded the business as Director - BFSI and has many accolades to his credit in this vertical. He holds a Degree in Engineering and has over 23 years of experience in various roles with companies like GTL, Select Technologies and WeP. Commenting on this new appointment Sunil Pillai, Founder & Managing Director at iValue InfoSolutions said, "Krishna Raj Sharma is a very lively, versatile, energetic, people and customer centred individual, a great networker with a passion for success. He is a well-regarded business leader with strong technical skills and great business acumen. With a very focused, analytical and objective outlook, KRS will be efficient in driving motivated, aligned & winning team for higher performance and makes for an ideal fit for iValue's next stages of growth. Under his able leadership, iValue will be spanning another exciting milestone - "its next lap of success". I would like to congratulate KRS on his new role and wish him and the team every success." Commenting on his appointment, Krishna Raj Sharma, now Director and CEO at iValue InfoSolutions said, "We operate in an exciting market that requires constant focus on the ability to accelerate. I am honored to be chosen for this role and will work towards development of the business with prime focus on making a meaningful impact that matters to our Customers, Vendor and Partner Community." KRS was one of the founding member and has undertaken many roles in iValue from Sales to Operations and also has been instrumental in rolling out ERP Solutions before driving BFSI vertical as Director.